We worked with Strathmore to produce branding and a website to promote their serviced office spaces in Scotland’s capital. 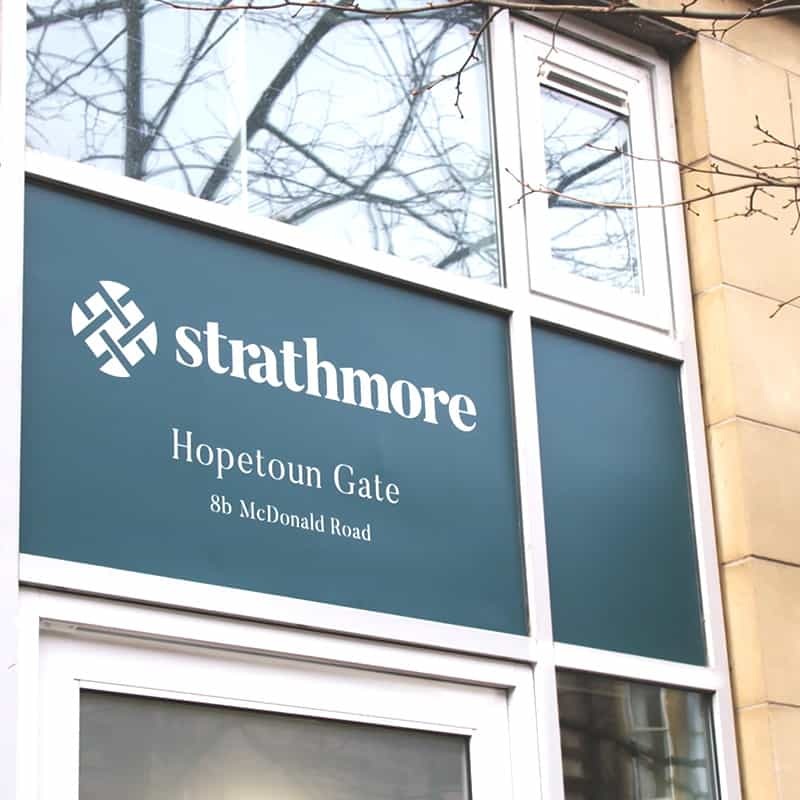 Strathmore are a well-established provider of premium city centre office spaces, and their carefully renovated centres blend the traditional character of their buildings with a contemporary feel. Providing more than just a space, Strathmore are a family run company that work closely with their customers, and their site and brand needed to reflect the premium quality of their services as well as their strong and traditional business values. When developing Strathmore’s brand, we wanted to pay homage to the traditional knot design they had previously used, whilst giving it a modern and contemporary feel. Developing the brand in this way was important to them, and we all felt it was in keeping with Strathmore’s core values – blending traditional and contemporary styles. The result: a beautifully simply knot logo that has been incorporated throughout all of Strathmore’s marketing. The website builds on this simplistic design, and elegantly showcases all of Strathmore’s premium office spaces. With carefully placed call to actions and emphasis placed on key information, the site is easy to navigate and elegantly showcases the premium quality of Strathmore and its services. We produced a website and brand that showcase the premium quality of Strathmore’s serviced office spaces.